The bestselling cookbook series of the 1990s - now revised and updated with all new recipes, more illustrations, and a cutting edge design for the twenty-first century. 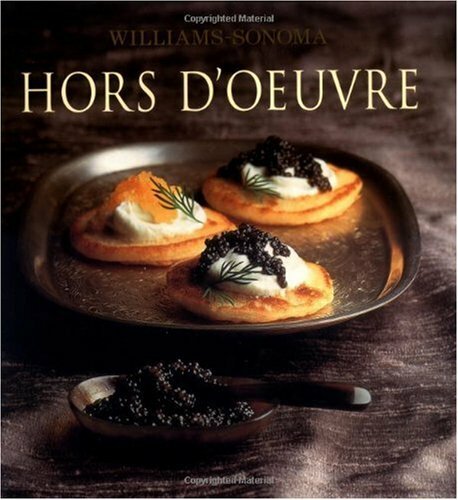 The Williams-Sonoma Collection offers a thoroughly updated collection of recipes that builds upon the quality for which Williams-Sonoma is renowned. In response to suggestions and feedback from readers, hundreds of hours of market research have been devoted to the creation of this new series. New to these cookbooks is an updated format featuring an introductory chapter on the classics, as well as chapters in which recipes are broken down by season: Spring, Summer, Autumn, and Winter, making it easy to find the perfect dish for any occasion. With a fresh editorial concept, tested on thousands of cookbook buyers, award-winning authors - and even higher photographic, design and production standards throughout - the The Williams-Sonoma Collection is a new standard, worthy of the Williams-Sonoma name.